We knew that Infowars wouldn’t be the last dissident operation to run afoul of the big tech censors. 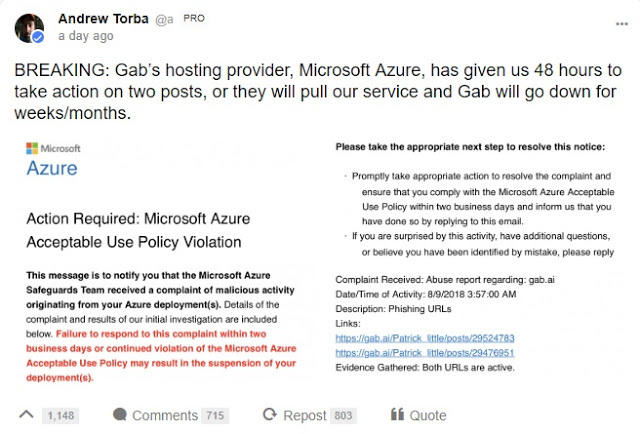 Mere days after Facebook, Apple, Google, and Soundcloud banned Alex Jones, Microsoft has threatened to shut down free speech absolutist network Gab. Here’s the announcement from Gab co-founder Andrew Torba. Building our own platforms is a necessary, but not a sufficient, condition to bypass the SJW gatekeepers in big tech and the mainstream media. 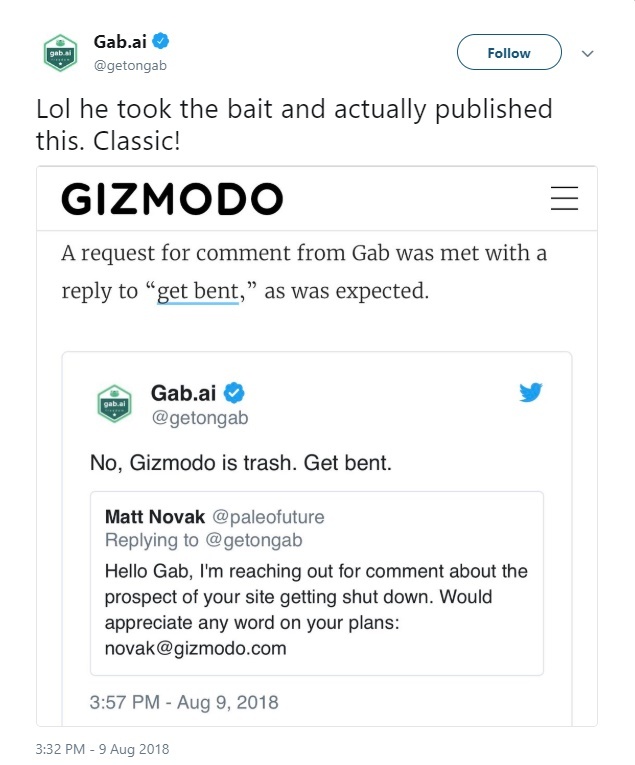 As Gab and a litany of other independent dissenting platforms show, if the tech cartel wants you gone, they’ll just exile you from the internet. The President is well advised to break up the big tech monopolies, or he can wave goodbye to the alternative media that let him make an end run around the Fake News in 2016. It couldn’t hurt to contact the White House and your Congressional representatives about busting the trusts. 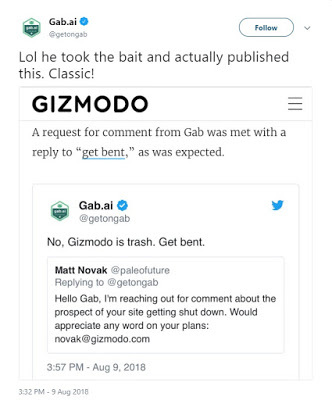 Meanwhile, at least Gab is making the most of the situation. Thankfully, Amazon remains the lone island of market-facing sanity in the big tech Sargasso. Support independent creators while you still can. Pick up my Dragon Award-recognized Soul Cycle books. How Not To Worldbuild: Ep. I, The Phantom Mess.